Save the Date: Bus Service Celebration on October 8th! Please join us on Saturday Oct 8 to celebrate getting increased bus service in Garfield and Penn Hills! 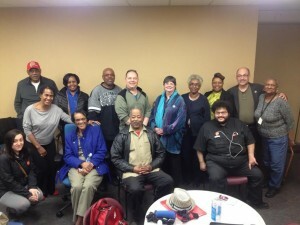 After a year long resident-led campaign, the 89 will now run on weekends in Garfield. The 79 will run all day and on weekends along the current P17 route. WE DID IT! Residents worked hard to advocate for this service, and riders are thrilled to have these much needed connections to jobs, school, shopping, events, medical appointments, places of worship, and more. Thanks to all who helped make this happen! We know more communities still need service, and we look forward to keeping up the fight. Residents will ride Route 89 from Garfield and Route 79/82 from Penn Hills to attend the celebration at the Kelly Strayhorn Theater lobby. Supporters are invited to join us on the bus or at the theater. We’ll have refreshments, a short film, and featured speakers! Penn Hills riders: meet at 9:10 am at Mark and Calmar to take the 79 (which becomes the 82). Or you can hop on the 79 from the Giant Eagle . All supporters: please join us at the celebration! you all helped make this possible, and we encourage you to come celebrate with us! On Friday May 27th, residents and riders from all over the county came together to encourage Port Authority to approve staff recommendations for service extensions. The proposal includes extending the 79 along Mount Carmel Road in Penn Hills!! Charlotte Foster of the Buses for Penn Hills Campaign and Joyce Davis of the Penn Hills NAACP addressed the crowd at the celebration and rally for more service. 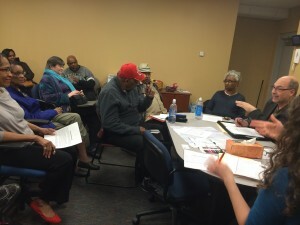 “[It’s] a need that so many people have, and we need it all over our community,” said Joyce Davis, president of the Penn Hills chapter of the NAACP. “We’re here to say thank you,” said Charlotte Foster, a Penn Hills resident. “Thank you to the Port Authority for hearing our cries, for hearing our pleas for service,” Foster said. 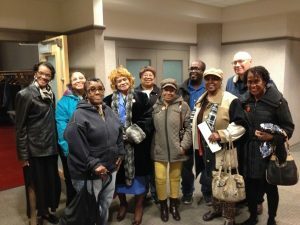 Residents from Garfield and Penn Hills came together to celebrate the added service to stand with communities who still need better transit. Residents came together on May 5th to discuss action steps for Port Authority’s service change announcements. We also worked on one-to-one organizing conversations and how to get more people involved in the fight for better transit! 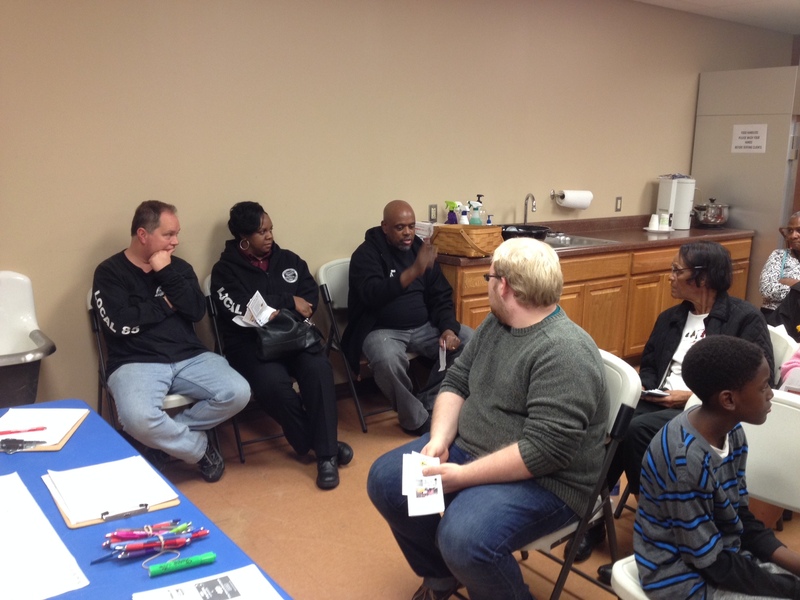 On Thursday, March 10th, residents from the Penn Hills area met with county councilman Nick Futules to discuss their transit needs. Councilman Futules was receptive to the thoughts and needs of the community. We had a great rally and meeting on Nov 2oth. For coverage of the event click here. These campaigns are continuing to push Port Authority and our elected officials to get transit service where it is needed most. 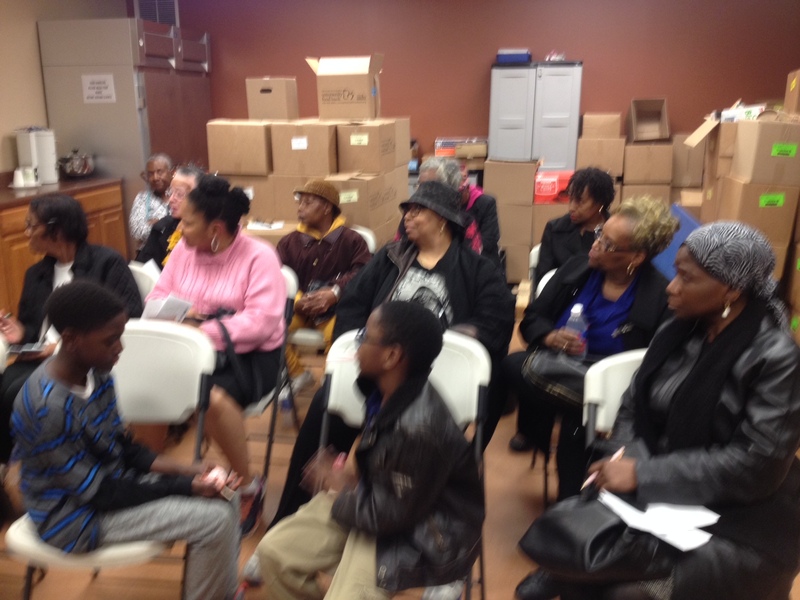 20 Penn Hills residents came together on Tuesday Nov 10 to speak out about the unsafe conditions they face trying to use public transit. Residents are forced to walk long distances on roads without sidewalks in order to catch a bus. Community members are often almost struck by vehicles, and one woman was actually hit by a car last summer. 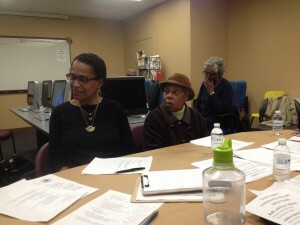 PPT is supporting these residents as they request better bus service and safer conditions for walking. All transit users are pedestrians first. 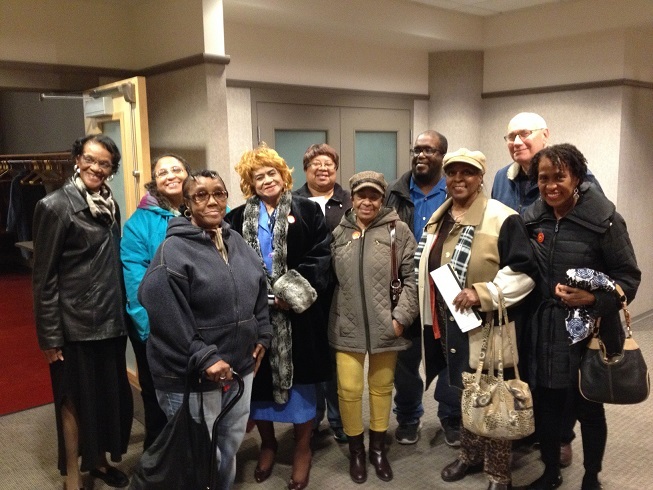 Four residents from the Penn Hills community came out and spoke at the October 23rd Port Authority board meeting and delivered 126 requests for service to the board! Charolette Foster spoke about the trials of caring for a sick relative in a transit desert. 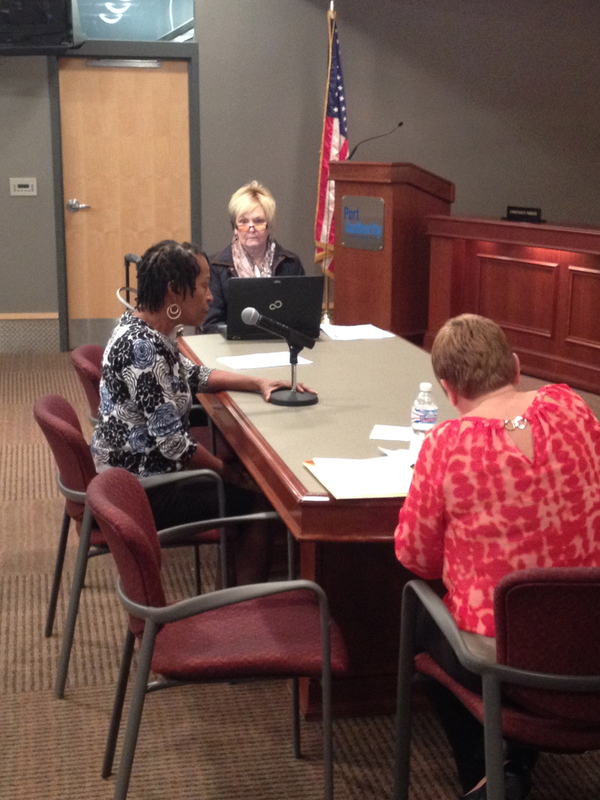 Joyce Davis, the president of the Penn Hills chapter of the NAACP, spoke at the September 23rd Port Authority board meeting and hand delivered 116 requests for service in the Mount Carmel corridor. 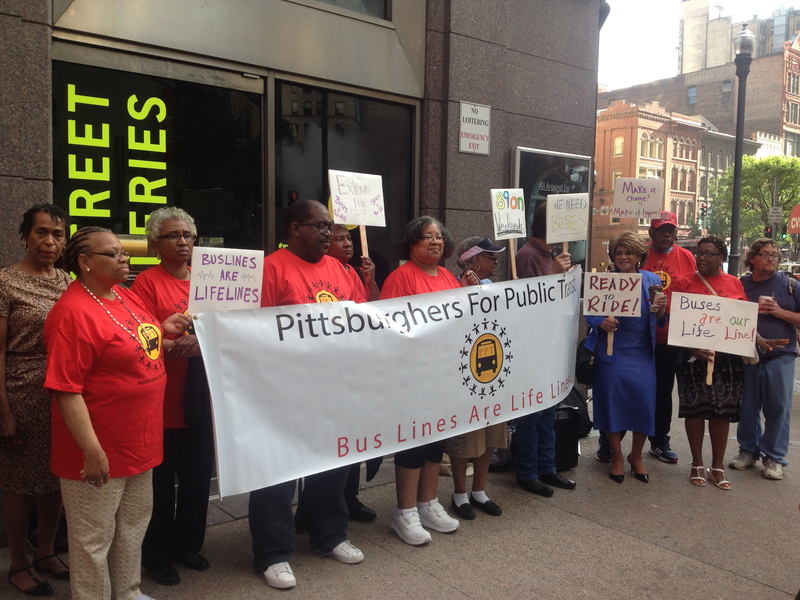 We’ve been working with community leaders and residents who have demonstrated a need for better bus service in Penn Hills. 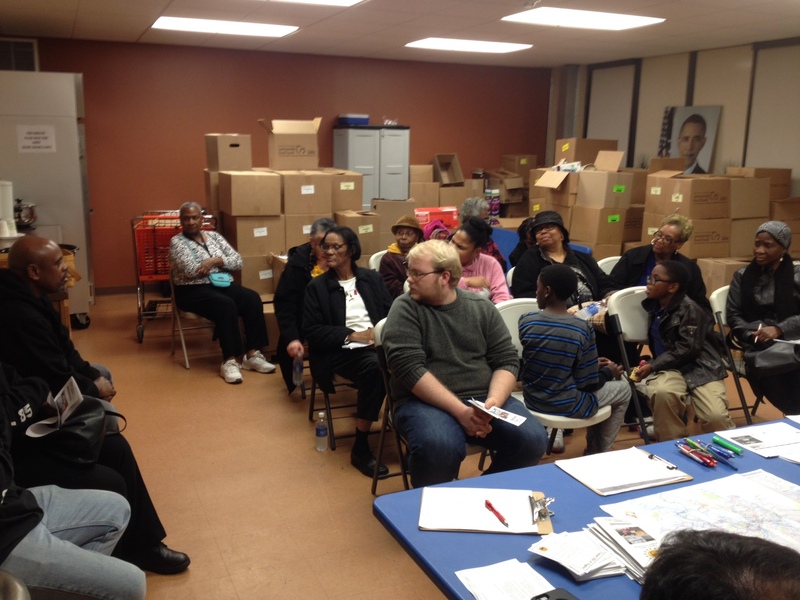 We’ve collected over 100 surveys and canvassed neighbors in the Mt Carmel corridor. Can’t make it to the meeting? You can still ensure your voice is heard. Contact Port Authority and elected officials to let them know what you need! any other suggestions you have!